Last updated November 30, 2000 (add photo) This stack was completed in 2 phases. 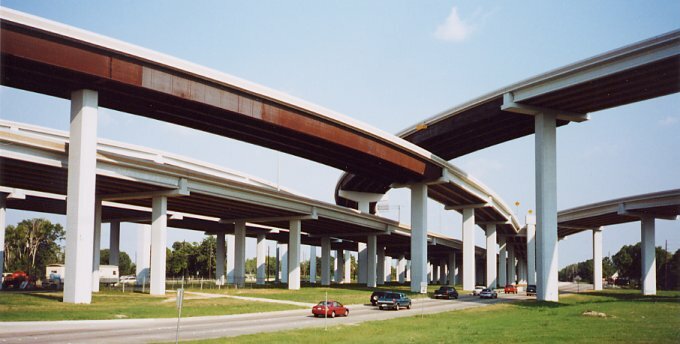 Four direct connectors were completed around 1993. 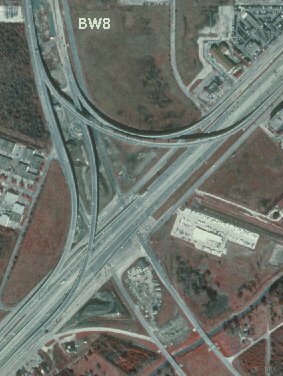 This is shown in the aerial photo to the right. 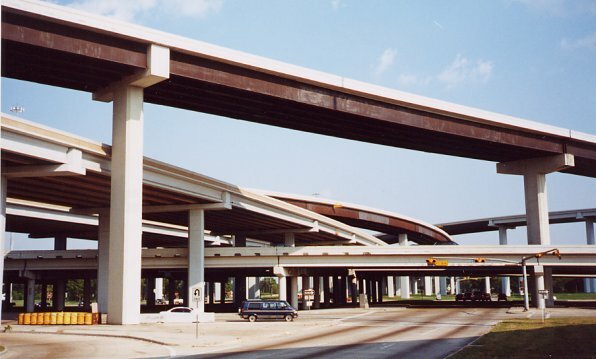 The Beltway 8 main lanes and remaining 4 connectors were completed in 1998. 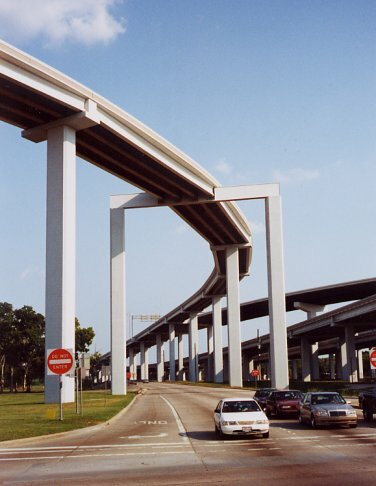 This photo, taken circa 1996, shows the partially complete stack, before Beltway 8 was constructed. Looking towards the south with the NB BW8 feeders in the foreground. This ramp is unusually high for a "right-turn" ramp. Looking south, from the north side of US 59.